Travelers to Central and South America have increased concerns about the threat of the Zika virus. As of yet there have been no cases of Zika contracted in Costa Rica (the only cases of Zika reported in Costa Rica were contracted in other countries), and the Costa Rican Ministry of Health is working to prevent it from spreading here. There have been so few cases reported in Costa Rica that an epidemic seems highly unlikely. Before your travel, it is important to inform yourself of the risks, but also to take into account the safety measures that are in place to keep Costa Rica healthy. Zika is transmitted to humans by the Aedes aegypti mosquito. An infected man can also spread the virus through sexual contact. It is not deadly, but pregnant women run the risk of passing the virus on to their fetuses, and the illness has been associated with birth defects. The only travelers who face significant risk from Zika are pregnant women, women who plan to become pregnant, and travelers with newborns. Contracting Zika can result in a mild flu for a week. (It is estimated that 80 percent of people who contract the virus remain asymptomatic.) This flu’s symptoms include headache, fever, muscle pain, diarrhea, rashes, and fluid retention around the feet and legs. The incubation period is from 3 to 12 days, and then symptoms appear and continue for 4 to 7 days. Costa Rica’s Ministry of Health has ongoing efforts in place to reduce mosquito populations. In order to mitigate the number of cases imported from other countries, Costa Rican authorities have increased precautions near the border. Cargo areas on airplanes are fumigated, as are areas around docks that might serve as mosquito breeding grounds. Officials are presenting visitors and migrants from countries with Zika outbreaks with information about Zika symptoms, as well as information about where to get medical help. 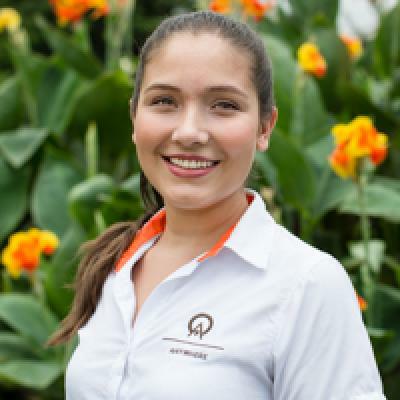 Anywhere Costa Rica works with hotels and tour companies that hold themselves to high standards of cleanliness. Our company also participates in environmental programs that prevent mosquito populations from growing. In many of our locations we participate in CST and Blue Flag programs, which means our tour operators are dedicated to environmentally friendly practices, which help reduce the number of mosquitoes. We help with efforts to keep trash out of rivers – water that flows quickly is less prone to becoming a breeding ground for mosquitoes. High-end hotels throughout Costa Rica are especially rigorous about their standards of cleanliness, and therefore have fewer mosquitoes on their properties. While you’re traveling, you can take steps on your own to prevent mosquito bites. Wear insect repellent and clothing that covers your arms and legs. Stay in hotels that have air conditioning so you can keep the windows closed, or sleep under a mosquito net. Keep in mind that mosquitoes are most active around sunset, and are most likely to gather near stagnant pools of water. In Costa Rica’s cooler, drier climates mosquito populations are quite low. Our Anywhere Costa Rica team is doing their part to help prevent Zika. Team members properly dispose of trash, helping to eliminate sites where standing water could accumulate. Because our team is comprised of locals we are especially invested in making sure Zika does not become a problem for our communities. Recent news about Zika: Multiple existing drugs have been show to prevent the Zika virus from replicating in the body. One such drug Niclosamide which is used to treat tapeworm and is safe for use during pregnancy.